After an intense 4 month application period and weeks of interviews every hour on the hour, the Quake LA team has completed the highly selective process of choosing the ventures for the Summer '18 LA accelerator. GoTRIBE: Small group personal training at GoTRIBE is the most individualized small group fitness experience ever created. Along with their TO23 platform, all small group Tribes are designed specifically for both weight training and high intensity calorie burning goals. With over a half million dollars in revenue already, the demand for GoTribe is evident. Endorsify: Endorsify is an influencer marketing SaaS platform helping brands connect with influencers and price their ad space. With the help of high-powered AI and image recognition systems, our content search is capable of finding creators that post the content brands are looking for. Clients include L’Oreal, Starbucks, Target, and more. Ormigga: Based in Bogota, Colombia, Ormigga is the only outsourcing department that combines machine learning and gamification to quote, contract, and manage suppliers more efficiently. Major clients include Sodexo, 3C Hotels, AutoStok, Universal Music Group and Telefonica. Radial3D: Radial3D is a next generation web platform using the latest in Web3D capabilities recently unlocked on today’s connected devices, with support for current and future VR and AR devices. Transforming how people learn and interact with biology, anatomy, and medical images (CT, MRI, & 3D Ultrasound), Radial3D is currently working with major hospitals nationwide. EllieGrid: EllieGrid is a smart bluetooth pillbox for active lifestyles. Organize pills in seconds, set medication reminders, and track adherence-- it’s the pillbox with beauty and brains. The team has raised over $160k in their crowdfunding campaign and has won over 15 awards and competitions, including Top 10 "Creme of the Austin Startup Crop" by TechCrunch. RANDIAN: RANDIAN is the only 360 degree solution for viewers to watch, click, shop, and buy. RANDIAN is a patented platform that makes shows and videos interactive, with a full-scale e-commerce engine that drives direct sales for brands. The RANDIAN platform combines video content, web-based-technology and ecommerce. Socianado: Socianado is a team of online marketing gurus that helps build brand awareness, customer base, and profitability through strategic marketing. We take a 360 degree approach to our solutions by incorporating research and strategic planning into the design and development of a brand’s online presence. Socianado turns our creative strategy into a brand’s ROI. Steereo: Steereo provides emerging and undiscovered artists the opportunity to be heard. Artists can reach new audiences as they ride with Uber, Lyft and other rideshare services. Whether an independent artist or on a label, Steereo helps artists gain new listeners and fans on the go. It’s the power of radio combined with the music discovery experience. Rose Gold: Rose Gold helps aspiring beauty entrepreneurs launch their business without the burden of purchasing upfront inventory. Rose Gold offers a dropshipping membership program that includes a full range of hair products, ecommerce sites, and consulting to get new entrepreneurs up and running as quickly as possible with all the tools for success. Baarb, Inc.: Baarb is a revolutionary new way to book hotels on your desktop or mobile app. Baarb combines vast human experience with cutting-edge artificial intelligence and natural language search capability to deliver the highest level of personalized hotel search results that meets individual preferences. No more sifting through hundreds of generic listings, or waiting for an agent to get back to you. Baarb is a technology company built by people who love to travel and dream of visiting every corner of the world. RECESS: RECESS makes it easy for brands to discover, book, and execute marketing activations at events across the country. RECESS partners with 400+ universities, giving brands the opportunity to connect with millions of college students across the U.S. RECESS has already worked with Southwest Airlines, L’Oreal, Salesforce, Vice, and USA Networks to name a few. Quick'rCare: If you are not feeling well and need see a doctor but don’t want to wait hours in a waiting room, Quick'rCare is here to help. Simply search for the type of facility you need, see the current wait time, and Quick’rCare will hold your place in line for free. Pebby Corporation: Pebby is a smart collar and ball system that gives pet owners access to monitor and entertain their pet from anywhere their cell phone can go. Using Wi-Fi and Bluetooth technology, the Pebby system’s remote controlled ball allows owners to watch, record, snap, and share images and video at the touch of a button. Pebby has already raised over $500k on Kickstarter and received worldwide praise in the press to match. Rain Systems: Rain Systems provides a means by which companies, communities, and individuals can reduce overall water irrigation consumption by half. Rain Systems patented technology injects a polymer that is EPA tested, environmentally safe, and 100 percent biodegradable. The treatment leaves no visible impact to the turf - enabling golf courses, resorts, municipalities and others to keep fairways and lawns pristine in a way that is truly sustainable. Love Goodly: Love Goodly is a subscription box service for nontoxic beauty and skincare. The value of each bi-monthly box is over two times the price, so consumers can discover nontoxic beauty, eco lifestyle and wellness products at a great price. The brands we carry are cruelty-free, organic, non-gmo, eco-friendly and vegan, and with each purchase, we give back to a cause. Ala Carte: You’re craving fried chicken but your partner wants a burrito. The kids want pizza. It’s a situation all of us have been in...Compromising on food is never fun. 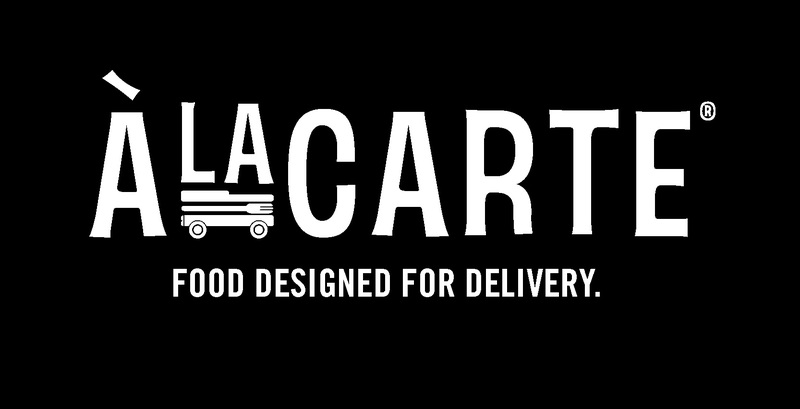 With Ala Carte Delivery, you can order from multiple restaurants at the same time. All food is prepared and delivered from one location, so delivery is fast and easy. We're excited to have this new set of companies on board. Interested in meeting our teams? See here for more information on our LA Accelerator Kickoff for our Summer 2018 Cohort on June 7th from 6:30-8:30 at the WeWork Gas Tower in Los Angeles.